High Tenacity Multifilament Polyester Color Yarn - - Products - High quality polyester yarn, high strength polyester yarn manufacturers, high strength polyester yarn in jiangsu area, high quality polyester yarn quality suppliers - Jiangsu Konon New Material Co., Ltd.
High-strength polyester fibers are refined from petroleum and are processed in the same way as regular polyester yarns, all of which are: oil -- the oil brain -- the mother granule -- the slices -- and the drawing -- composite. 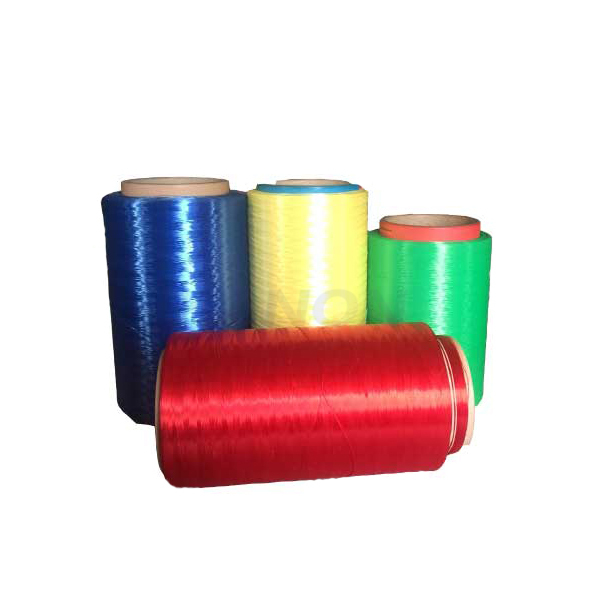 The high - strength polyester yarn is made by using the high quality color masterbatch, which is produced by using the melt original liquid dyeing process. Good luster, uniform color, good color fastness.